Here's another photo I shot at my nephew's recent wedding. 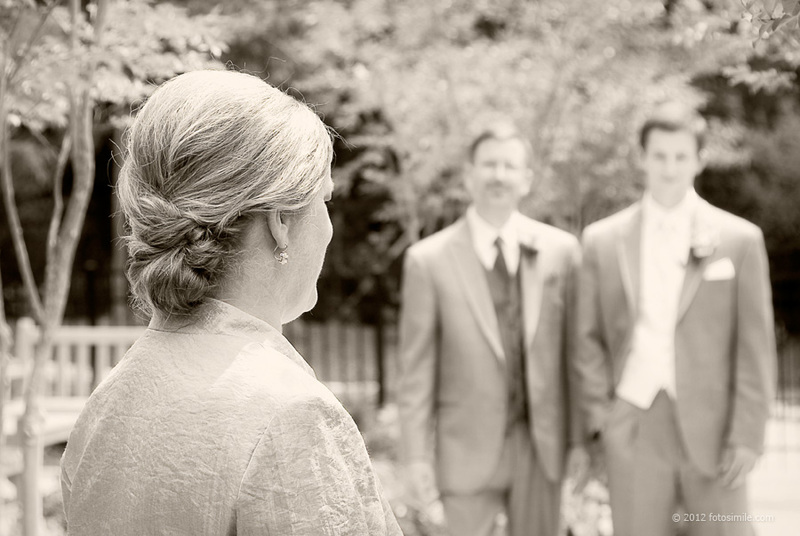 I loved this hairstyle on my sister-in-law, the mother of the groom! It was so elegant, just right for the occasion. I saw this shot as she was standing there, waiting to step in and be photographed with my brother and nephew, seen here in the background.